Default Magento navigation process is rather irritating and time consuming for the customer as it only provides searching step by step. 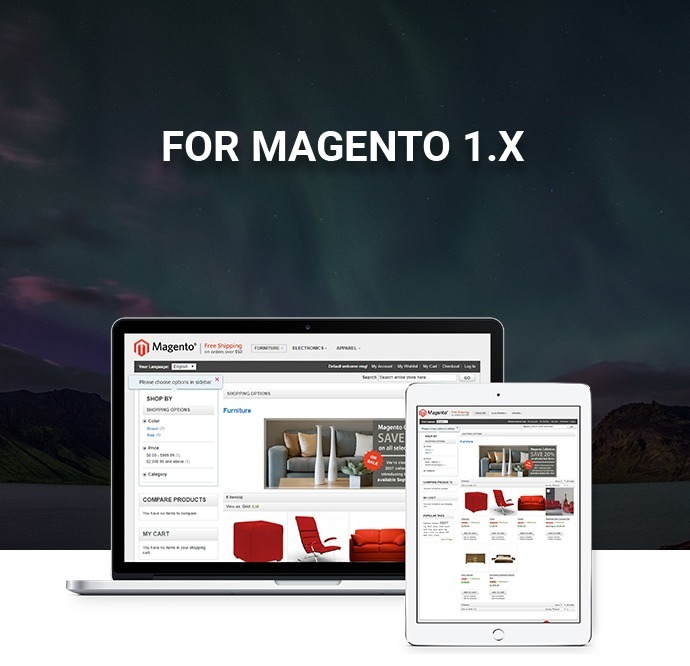 Mangento Layered Navigation Extension is designed to optimize and improve navigation of your online Magento store. With our Layered Navigation you can make your navigation more flexible and user-friendly! 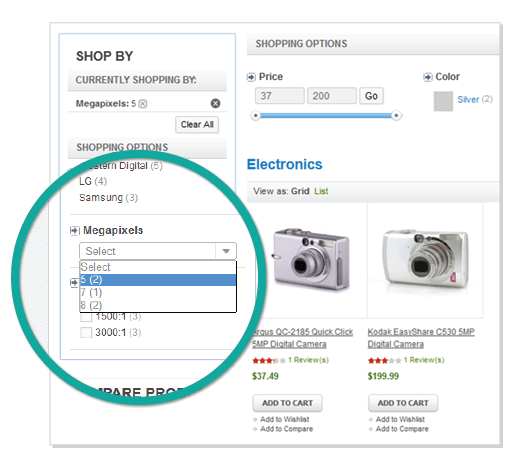 This extension will enable your customers to indicate all the product parameters at once without having to choose attributes one by one to find the right product. 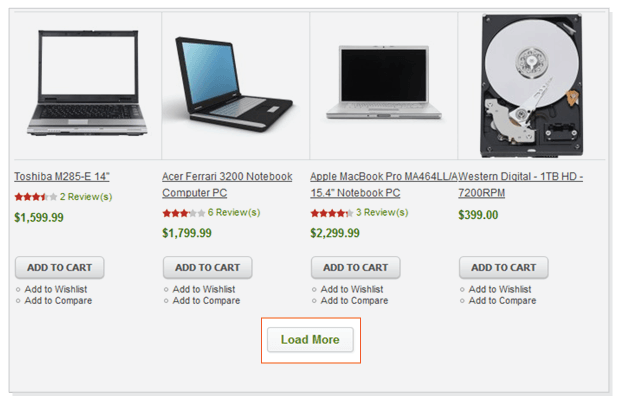 Price Slider control allows your customer to select a certain price range according to their purchasing intentions. Imagine that you have a possibility to draw the attention of your potential clients to all the goods you offer. The client is able to see more goods in less time without the need of searching for the 'next page' link and looking around the page. Your customer will appreciate the convenience and will be more likely to choose your user friendly Magento store for future purchases. Layered Navigation is entirely customizable from the backend. 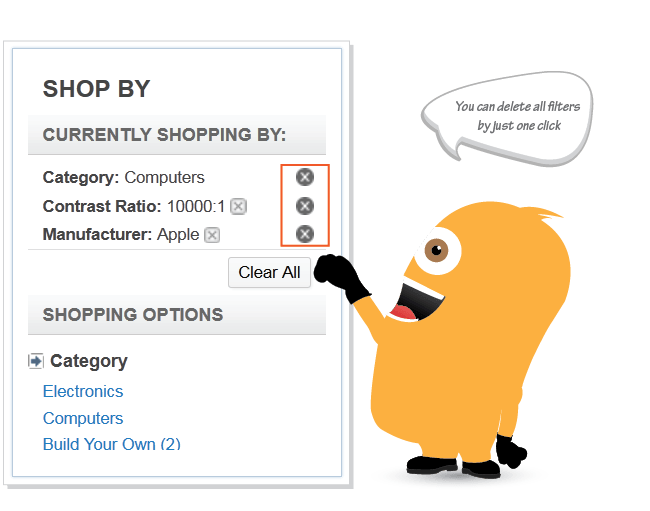 Flexible module settings allow a store administrator to change the look of filters - sort attributes' position, upload thumbnails, etc. 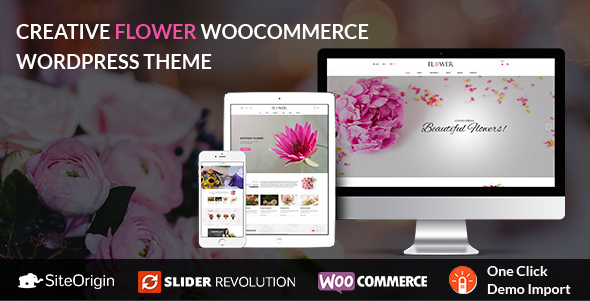 – so they can suit any store design. 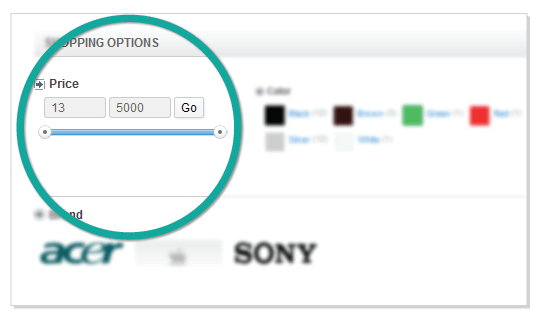 Admin can easy create unlimited filter attribute and manage theme. Default Magento navigation process is rather irritating and time consuming for the customer as it only provides searching step by step. Magento Layered Navigation Extension is designed to optimize and improve navigation of your online Magento store. With our Layered Navigation, you can make your navigation more flexible and user-friendly! This extension will enable your customers to indicate all the product parameters at once without having to choose attributes one by one to find the right product. Firstly, you come to the website and see all products, if you like, only click in this product to add to cart. 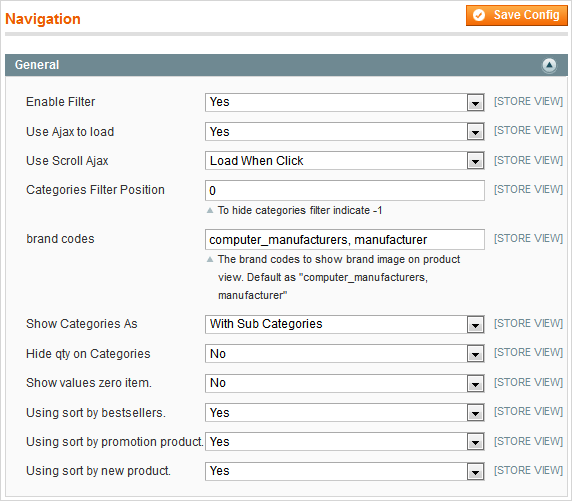 But if you don’t have like one of the attributes of the product, you can search with Layered navigation extension. In different parts, you will see product suit with your demand. After searching in price is simple, because you only click on price as you like. Another product is the same; you can refer in our demo to know more information. Step 2: Refresh all caches in “Cache Management”, index all data again in “Index Management". Step 3: Go to System >> Configuration >> Extensions >> Navigation, then setup as user guide. Advanced categories menu: This extension enables you clearly display a category tree by choosing from various modes for category display. You can show categories in the dropdown, together with subcategories or static 2-level category tree with plus/minus controls, etc, hide or move category filters, exclude any categories from layered navigation. Shop by brands: Let the customers easily find the products of the brands they are addicted to. Show brand logos in navigation or create lists of brands. 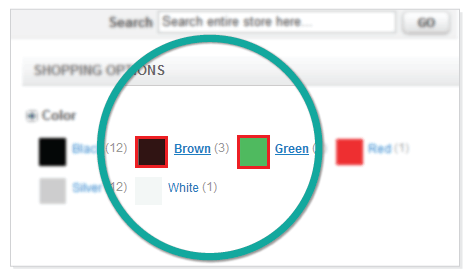 Shop by color: If you own a big fashion store, so will helpful if your customer can filter product base on the color attribute. 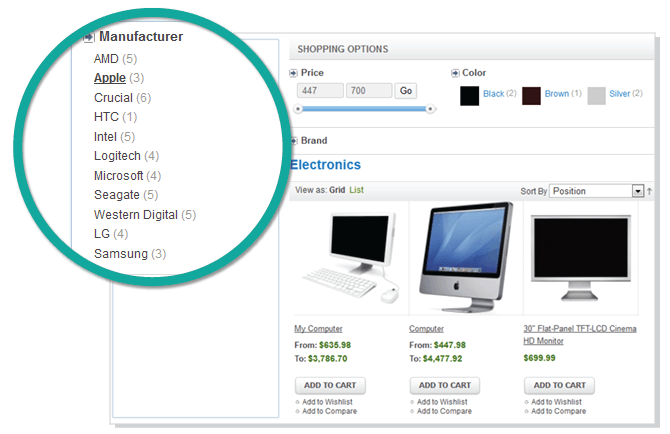 Price sliders and other numeric filters: Price Slider control allows your customer to select a certain price range according to their purchasing intentions. Able to display both price slider control and textbox, insert price at front-end. Show filter box on the sidebar or on the top page. 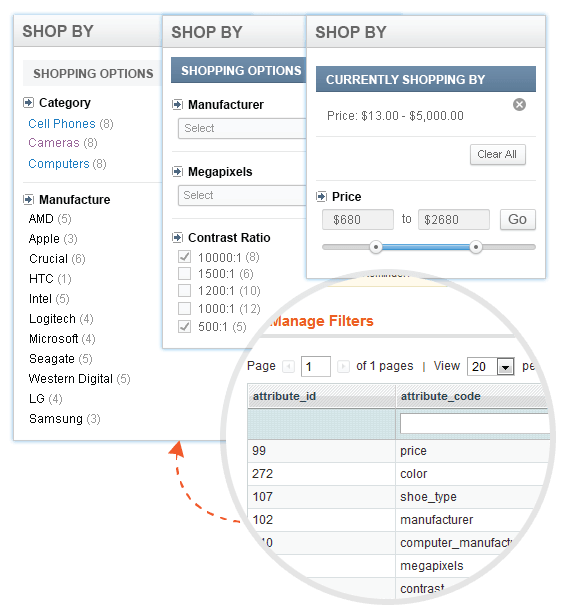 Allow customers to filter multiple attributes like Category, Price, Manufacturer, and Color. Able to filter the search results by multi-select in one attribute. Support images display for each properties selection. 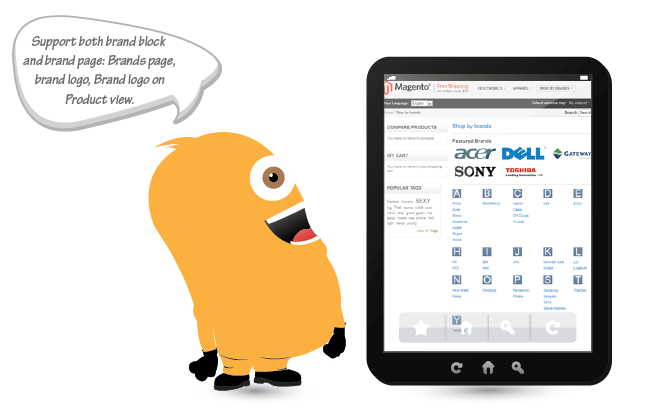 Support both brand block and brand page: Brands page, brand logo, Brand logo on Product view. 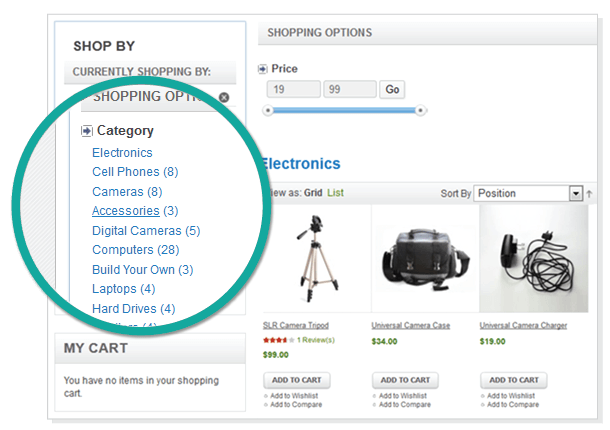 Add Sort by: New product, promotion, and the bestseller. Show filter box on the sidebar and on the top page. 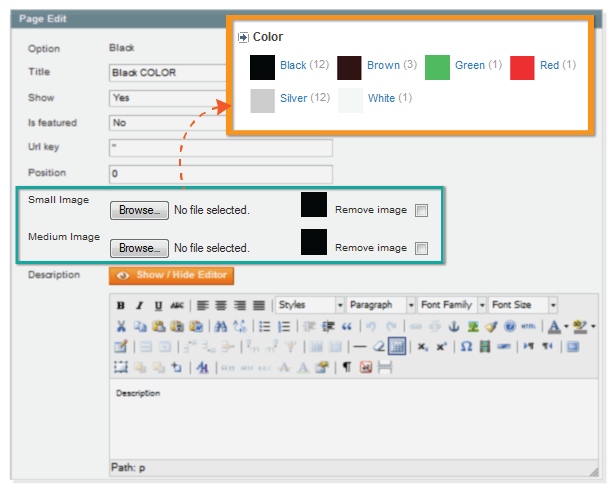 Display types: label, dropdown, image, the image with the label, slider. Load page with Ajax or default. Load search results by Ajax tool making the site performance faster without refreshing the page. Automatically load unlimited search results using Ajax Auto Scrolling Infinite. A good extension, its working very smooth and good. The technical support guys are very helpfull. I am suggesting for this Layered navigation module. does it work with configurable products? Thank you so much for your interested in. 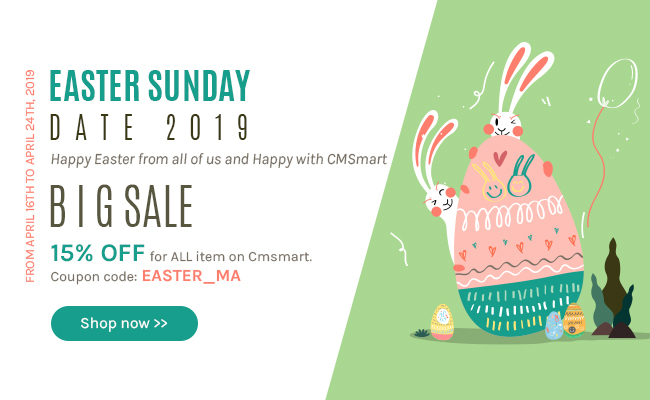 I am Janet, working as Customer Service Manager on Cmsmart marketplace. I am happy to support you. Yes, it work with configurable products.